select *, DATE_FORMAT(birthday, "%b %e, %Y") as _birthday, DATE_FORMAT(died, "%b %e, %Y") as _died, MONTH(birthday) as month_birth, DAY(birthday) as day_birth, DATE_FORMAT(birthday, "%b %e") as _birth_day_month from agatti_people where agatti_people.u_name = "louise-beavers"
Shares birthday with Cyd Charisse, Claire Trevor, Lynn Redgrave see more.. Legendary character actress, Louise Beavers, was born on Mar 8, 1902 in Cincinnati, OH. Beavers appeared in over 160 film and television roles. Her best known films include Imitation of Life (1934) as Claudette Colbert's housekeeper Delilah whose daughter desperately wants to pass for 'white', and Mr. Blandings Builds His Dream House as Cary Grant and Myrna Loy's housekeeper Gussie who comes up with the perfect advertising slogan for WHAM. Beavers also portrayed Jackie Robinson's mother in The Jackie Robinson Story (1950), and was one of four actresses (including Hattie McDaniel, Ethel Waters, and Amanda Randolph) to portray housekeeper Beulah on the Beulah television show. Beavers died at the age of 60 on Oct 26, 1962 in Hollywood, CA and was laid to rest in Evergreen Cemetery in Los Angeles, CA. Louise Beavers was born on March 8th, 1902 in Cincinnati, Ohio. She was the daughter of two educators, Ernestine and William Beavers. When Louise was just 11 years old the family relocated to Pasadena, California largely due to her mothers chronic illness. It was while in Pasadena that Beavers began to develop her love of the performing arts and began enrolling herself in several after school programs such as basketball and chorus. Her mother, a voice teacher, was more than supportive to her daughter ambitions and taught her to sing for large audiences. After graduating from high school Beavers found work as dressing room attendant before moving towards a music career. While still in her teens, Beavers joined an all-female minstrel group called Lady Minstrels. She continued to hone her skills as singer and entertainer on vaudeville circuit. During this time she also made a living working as housemaid for the actress Leatrice Joy. 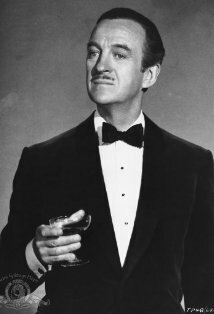 Beaver's talents were eventually noticed by Charles Butler, an agent known for representing black stars and member of the Central Casting Bureau. Although she was initially hesitant about going to Hollywood, she eventually auditioned for a role and in 1927 made her film debut as an uncredited slave in Uncle Tom's Cabin. After arriving in late 1920s, Beavers began her career at a time when black entertainers had very few options as to their choice of roles. Her first few roles were that of an uncredited slave or maid. In 1930 she appeared as Julia in the Mary Pickford vehicle Coquette. Her role as the servant/mother figure, the very stereotype of the jovial mammy, was a hit with critics, who felt Beavers offered a warmth to the screen missing from other Hollywood actors. 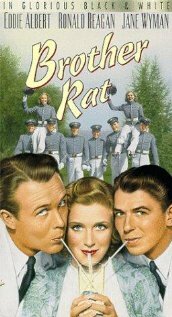 The film also set the tone for the rest of her career, with Beavers playing sassy servants acting mostly as comic relief and soft guidance to the white protagonist. Beavers kept an incredible busy schedule her first few years on Hollywood. Outside of Coquette, In 1929 Beavers appeared in sic other films including Wall Street and Nix on Dames. The next she contained her break-neck pace, appearing in fourteen films including She Couldn't Say No, Safety in Numbers, Manslaughter and Paid. In 1931 she appeared in a total of ten films and the next year she appeared in sixteen, with half of her roles being uncredited maids. In 1933 she appeared as Mae West personal maid in the comedy She Done Him Wrong. That year she would go on to play a maid or other subservient role in nineteen more films including 42ns Street, The Big Cage and In the Money. The next year Beavers starred in what is now considered her most famous role, Delilah Johnson, opposite Claudette Colbert in The Imitation of Life. The centers on a broke but enterprising young white woman (Colbert) who uses her house servant, Delilah's pancake recipe as the basis for her financial empire. The film follows the trials and tribulations each women go through as they ascend the ranks of financial wealth. 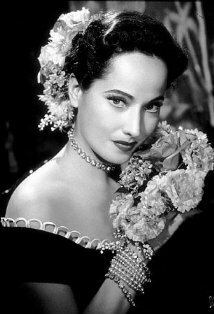 The film also contained a subplot in which Delilah's daughter, Peola, becomes resent of her heritage and tries to pass for white. The film was one of the first in Hollywood to address problems faced by black women and give proper emotional weight to her character. Following Imitation of Life, Beavers was once again relegated to small, stereotypical roles. Along with fellow black actress Hattie McDaniel, she became one of the screens quintessential 'mammy' characters. So limited were her options as an actress that the studios used to force to heat extra helpings of food in order to keep her as plump and asexual looking as possible as the studios were afraid of losing one their leading 'mammies.' For the next two decades, she continued to work tirelessly, appearing in over 160 films by the end of her career and appeared as the mammy stereotype in a diverse range of films including Scandal Street, The Shadow of the Thin Man, Du Barry was a Lady, South of Dixie, Mr. Blanding Builds his Dream House, and I dream of Jeanie. 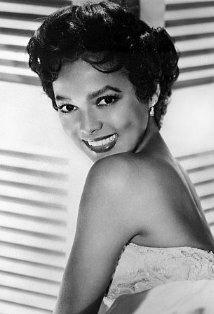 In 1954 she became one of four actresses to play the titular housekeeper role in the 1952 television series Beulah. She continued to act primarily on television for the rest of the decade, appearing on shows such as General Electric Theater, Playhouse 90 and Frontier Doctors. Her final role came in 1960 film The Facts of Life opposite Lucille Ball and Bob Hope. Louise Beavers died on October 26th, 1962. She was 60 years old. Beavers was never nominated for an Academy Award. Clementine, Actress in Show: I saw your last picture, Mr. Carrell. Morgan Carrell, the Director: Yes? Clementine, Actress in Show: Oh, yeah. Morgan Carrell, the Director: What'd ya think? Clementine, Actress in Show: [sighs] yeah. Mamie: [about winning Linda back] You could melt her heart right down to butter, if you'd only turn on the heat! Niagara: Land's sakes, what's he trying to do, landscape you? Playing cooks for most her career, in real life Louise detested cooking. In 1976 she, along with Josephine Baker and Canada Lee were posthumously inducted into the Black Filmmakers Hall of Fame. The studio forced her to eat extra servings of food so she could play the "black mammy" roles that were available to actresses of color at the time.